Above Photo: Beautiful wooden sculpture seen in front of the District of Hope, British Columbia. The district of Hope is an amazing place to visit. First of all, Hope, B.C. is the gateway to pretty much all of British Columbia. 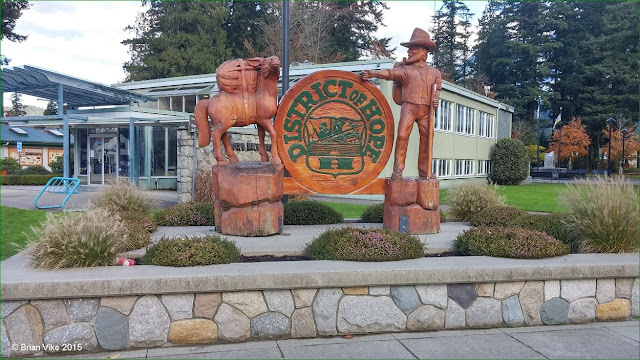 On our journey around Hope in November 2015 we seen the most beautiful wooden sculptures which were carved with a chain-saw by Hope’s local artist Peter Ryan. The wooden sculptures were seen all throughout the town. There are so many different things to see which made it hard to visit them all, but I certainly will return in 2016 to visit all that Hope has to offer.